module size, timestamp and checksum. once loaded modules which are no longer loaded. Smart tool to analyze run-time module unloading behavior inside a process. 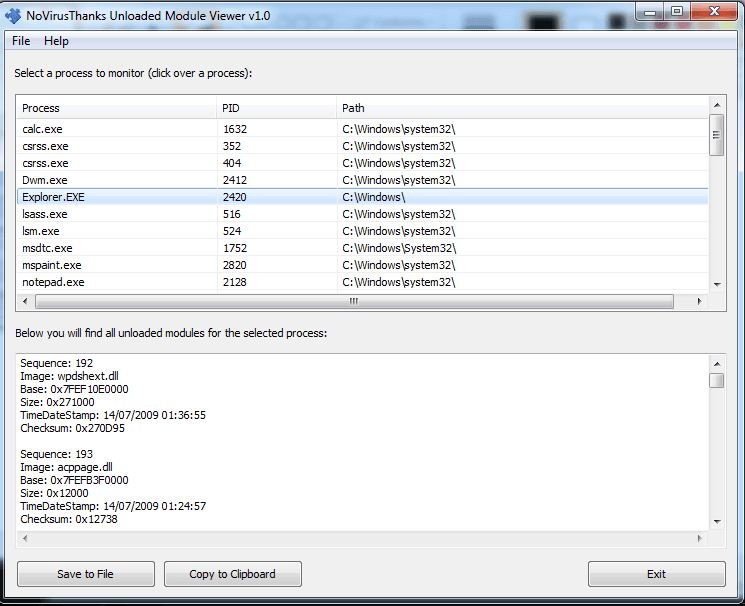 Easily export the list of all unloaded modules for the selected process to a .log file. Select the process and wait for the textarea to be populated with unloaded modules.